The division of Paramount Pictures Corporation, Paramount Digital Entertainment (PDE) has announced the launch of the new Iron Man action-packed game for iPhone and iPod touch, named as IRON MAN: AERIAL ASSAULT, which utilizes the innovative technology in the mobile devices, such as accelerometer and Multi-Touch users interface, aiming to enrich the game play experience while providing new and exciting challenges to conquer throughout. Players can hone their skills by using an upgradeable, high-powered armor developed by Stark Industries. In addition, the gamers can access, charge and fire an arsenal of state-of-the-art weapons, including repulsor blasts, missiles and devastating Unibeam. 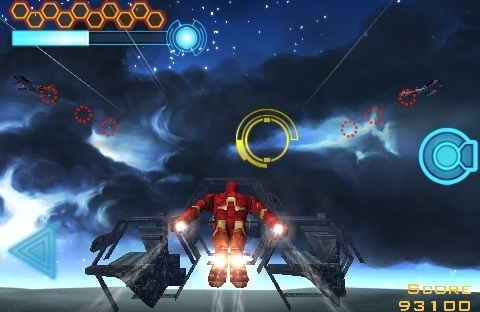 The new IRON MAN: AERIAL ASSAULT game for iPhone and iPod touch is now available through Apple’s App Store for $7.99.